For a professional and reliable service for fire extinguisher servicing call ETC Fire for fire safety inspections in Surrey. We supply, test and service fire extinguishers and any other fire protection products that you have installed, we can advise on safety measures and provide training for your staff with instructions and hands on demonstrations (if there is an available space) so that your employees can be confident that they can operate fire extinguishers in an emergency. BAFE trained service personnel will inspect and maintain your fire extinguishers and a yearly servicing contract which our customers find good value means that you have peace of mind about your safety in the workplace whether it's an office or factory, nursing home, hospital, shop, etc. ETC Fire hold the complete range of fire extinguishers plus spare parts which are obtainable at short notice for our customers in Surrey. Our testing service ensures that your business meets the strict fire regulations that are in place. We have a full range of fire protection equipment and offer a personal tailor made assessment of your premises, with advice on the installation of fire protection equipment that will give you competitively priced security from fire damage. Our fire service engineers cover Surrey and the surrounding areas and can supply and install all kinds of fire safety equipment for you. Or we are happy to check equipment you have bought yourself over the Internet for example. All work is carried out to a very high standard and approved by BAFE trained Inspectors. Your portable fire extinguishers are required to be inspected and serviced annually and some such as the Co2 extinguishers require discharging and refilling. An extinguisher once it has been used needs to be inspected and recharged or replaced. After the initial visit, we will remind you of when you next require a service visit from our engineer so that you never forget to keep your fire extinguishers in full, reliable working order. We also offer the same service and advice on fire extinguishers you may have already in situ, or have just bought from any supplier. Call us if you have any queries or would like an independent assessment of your present equipment. Please contact us if you would like any help and advice regarding your fire safety precautions. Our friendly team are happy to answer any queries about fire extinguisher servicing Surrey customers may ask! 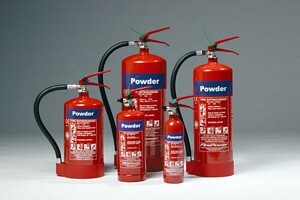 ETC Fire offers a flexible range of contracts professional fire extinguisher servicing Surrey companies can rely on. ETC Fire are specialist suppliers of fire extinguishers and offer installation and regular maintenance of our own, and also fire extinguishing equipment that you may have found from another source, such as the Internet.